Now, back to Alaska. 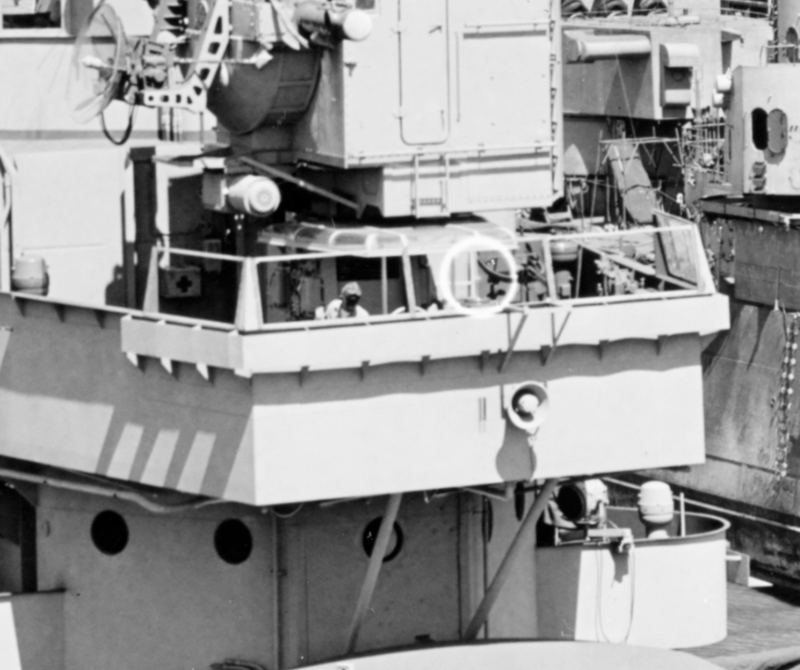 I first noticed a similar installation of windscreens on her because she's an upcomming ship in World of Warships and the screenshots clearly show those screens. I looked all over the Internet to find any source and picture for those windscreens, but most pictures are a very low resolution or bad quality. 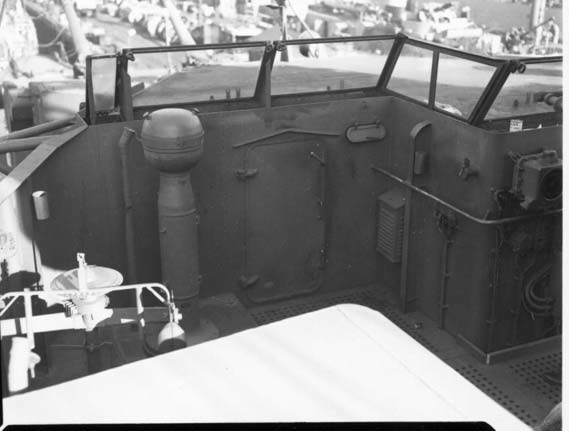 I have looked at countless line drawings and shipplans and even ship models and none ever include those windscreens. Now, my question would be: Has anyone any more infromation on those windscreens? When did the Alaska class get them installed (Did Guam get them?) or any more pictures or plans concerning this? I know its a very specific and obscure thing but this is giving me no rest, I need to know more about Alaskas Windscreens. 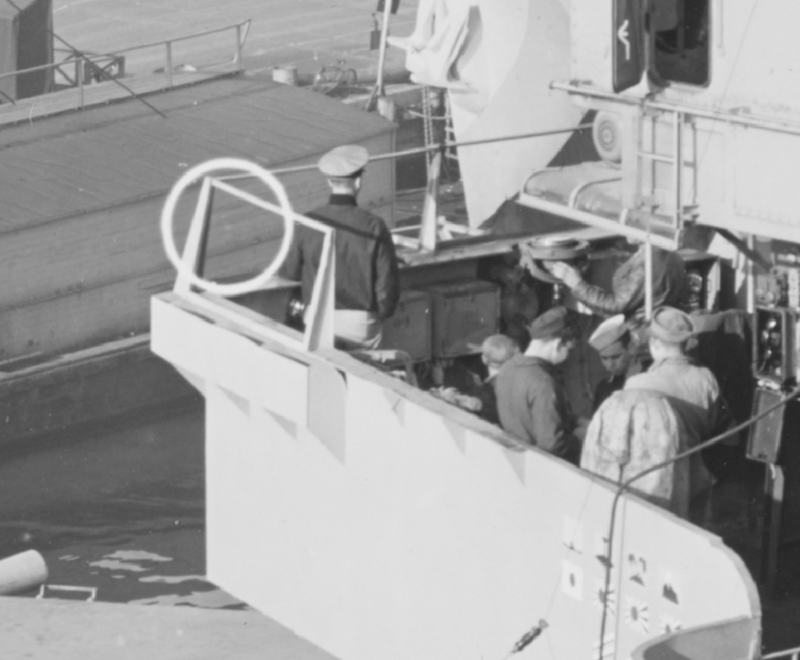 after my understanding is that most ships with a open bridge had windscreen, to protect the crew from (cold) wind and water spray when traveling at speed in rough sea... you will be surprised how far water spray from the bow can travel. basically if you see a ship with open bridge, you can assume that they have some sort of weather protection (windscreen), it can be a sort of wing in front of the bridge that will channel the air upward and create an natural-airwall or and windscreen. Welcome. I don't have an exact date for you on when the Plexiglas wind screens became widespread, but my general guess (based on the ships I've researched) would be mid-to-late 1944 onward. It's a pretty small detail in most photos, which is why you don't often see them in plans and model kits especially. The highly-detailed Floating Drydock plans for Alaska don't show the wind screens. My own drawings of Alaska and Guam don't show them (they were last updated in 2014) though I've had them on my list of alterations for later revisions. 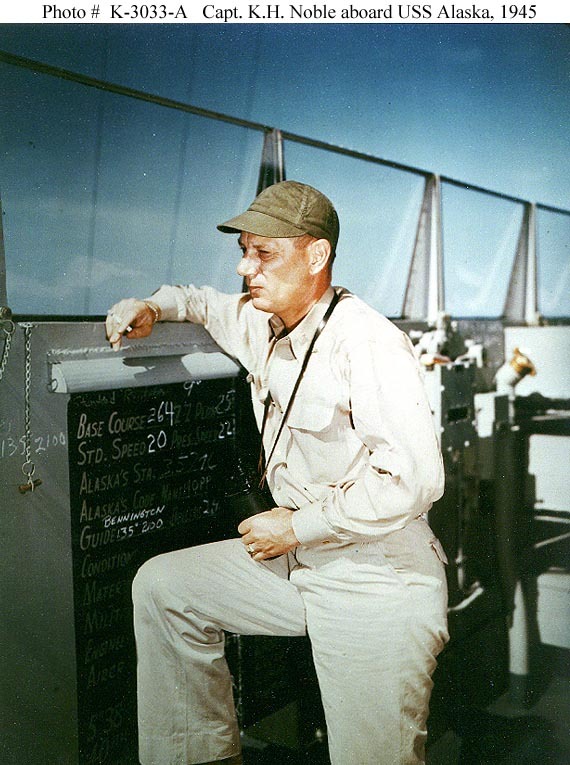 The photo of CAPT Noble on the bridge is the best close-up I've seen, but I've also seen good close up shots of the Plexiglas windshields on photos of Indianapolis and on some of the DDs. 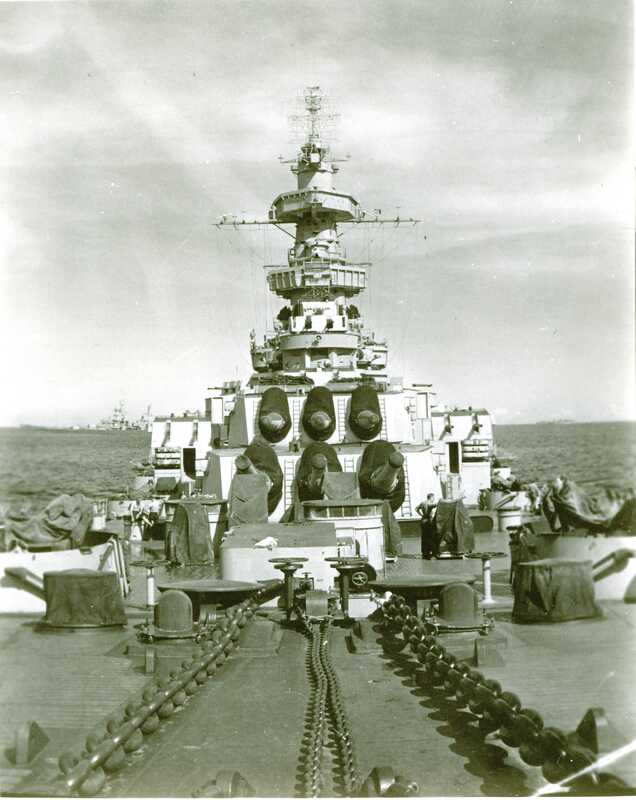 Photos of Guam during the same period show the windshields in place, though they are hard to make out. 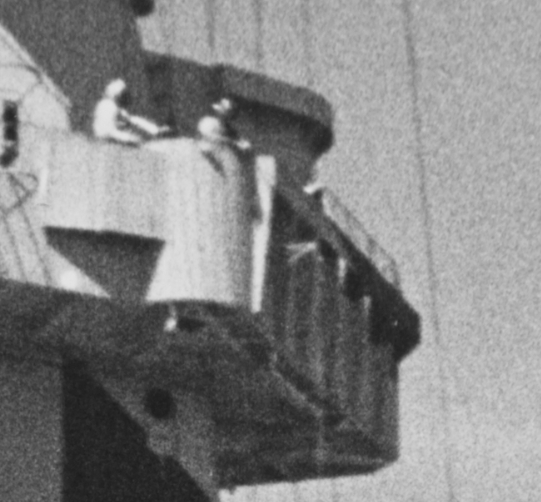 Guam's workup photos (in camouflage) show a canvas canopy mounted over this position. 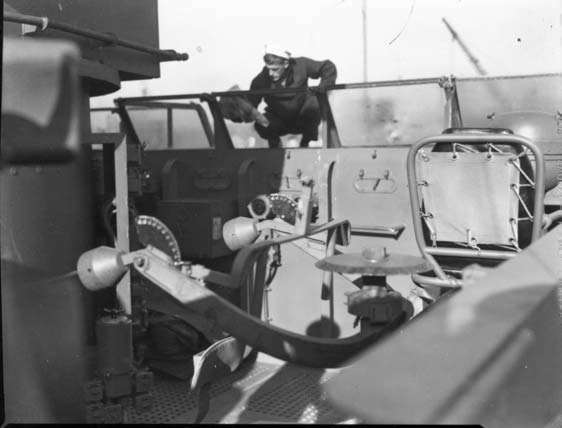 Given this, think it's safe to assume these windshields were fitted during construction (likely as a "new development" they were slotted into the yard's schedule and fitted on the ships). Without finding the actual builders' plans of Alaska and Guam, would be difficult to know. 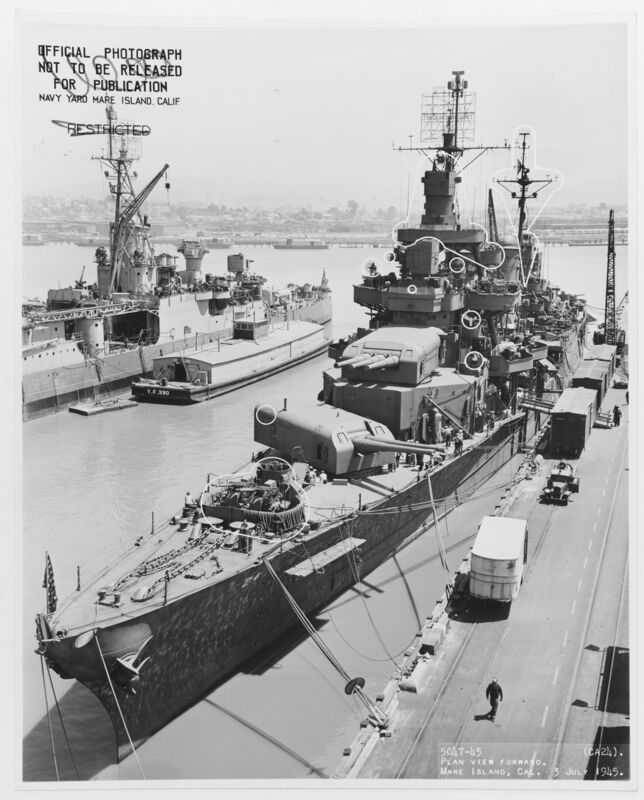 You could also search for the original shipyard correspondence at NARA, or ask the researchers on the Model Warships forum. 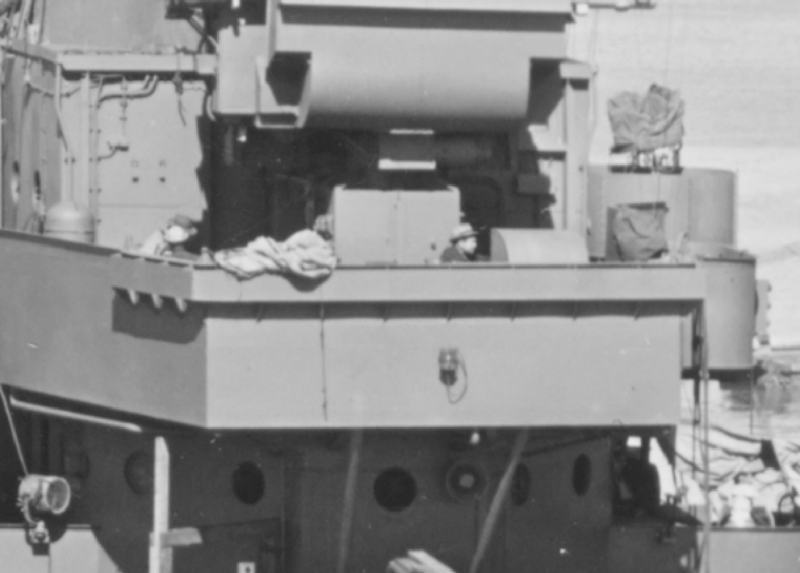 In USN parlance this is a "venturi shield" -- a wind deflector that uses the venturi effect to create an area of dead air right in front of the bulwark so watchstanders aren't blasted by cold air. Will you now tell us what the Norwegian navy calls it? Thank you very much for all the help. Those small details about ships are super interessting! Can I do this from Austria? Ha, for sure -- I love researching this stuff myself. 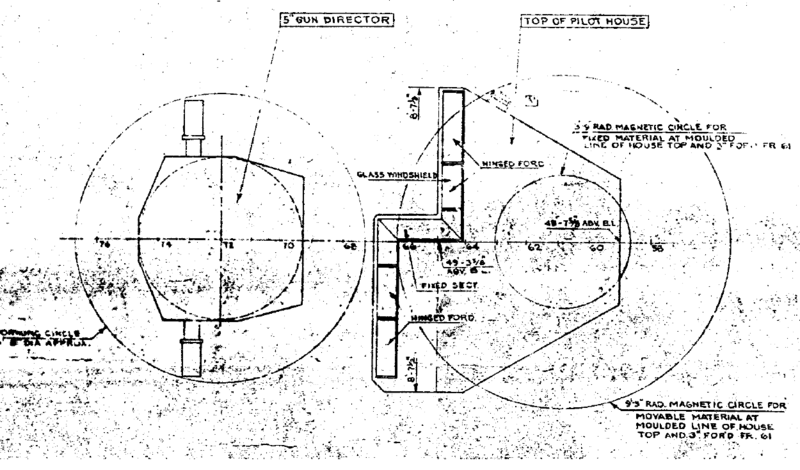 Re: accessing the shipyard correspondence at NARA, there are paid researchers for hire, but I think your best bet would be to ask the ModelWarships guys if they've ever come across any correspondence relating to Alaska. Unfortunately it seems like US National Archives require an actual visit in-person, vs. searching online in most cases.